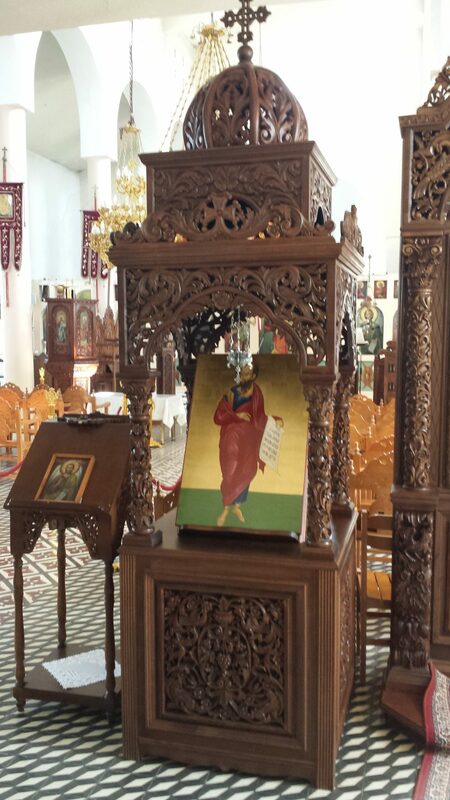 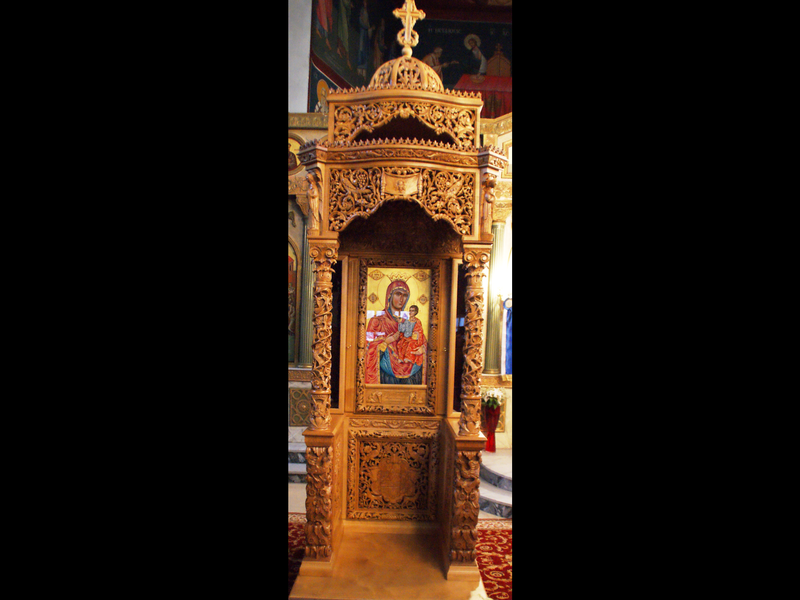 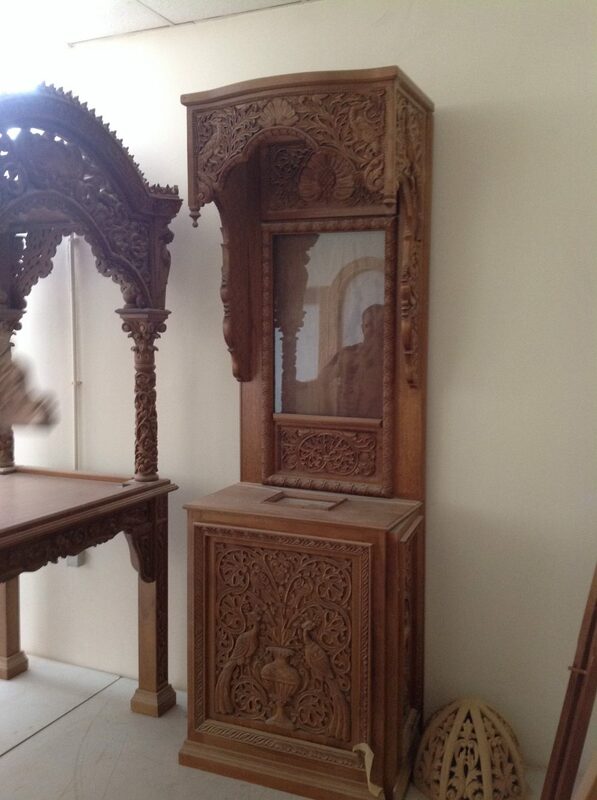 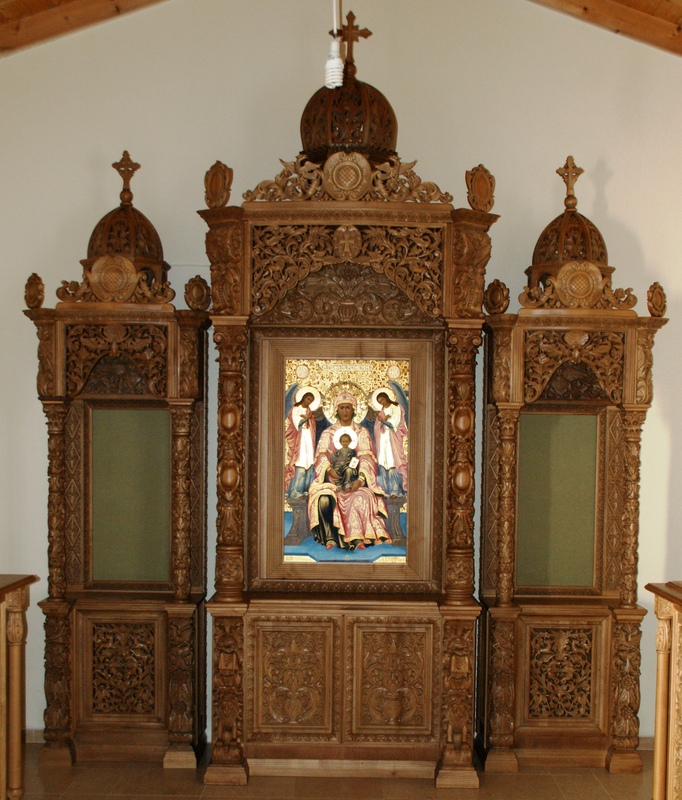 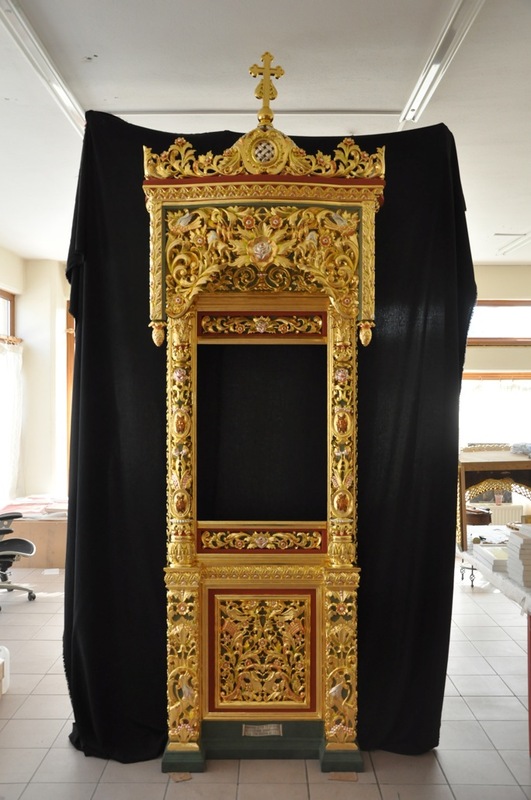 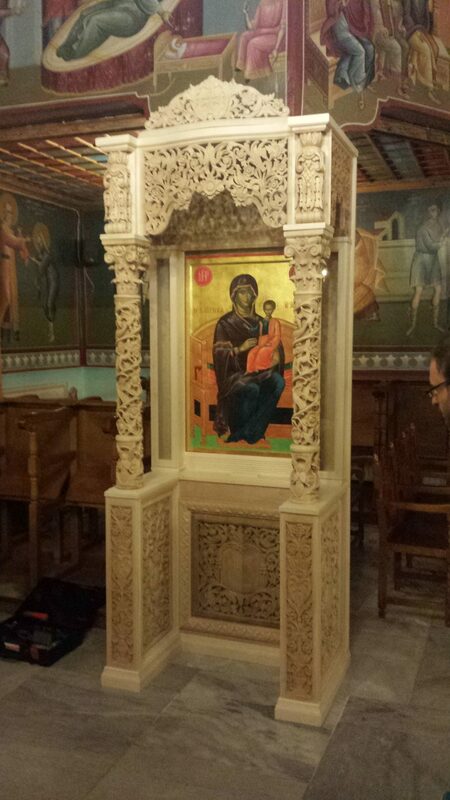 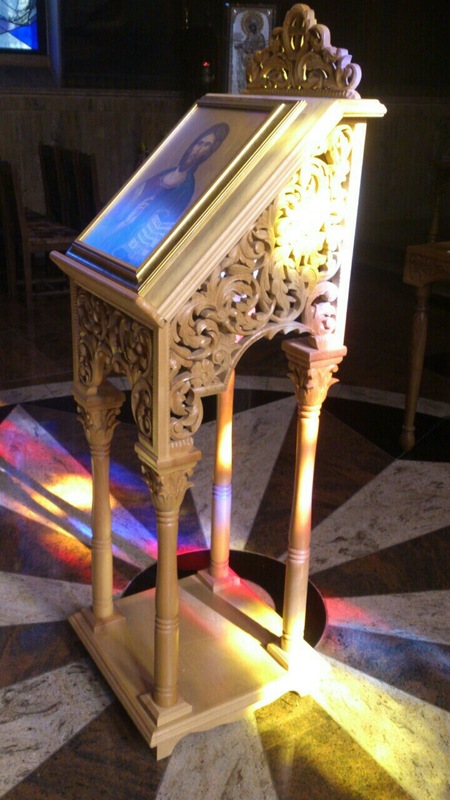 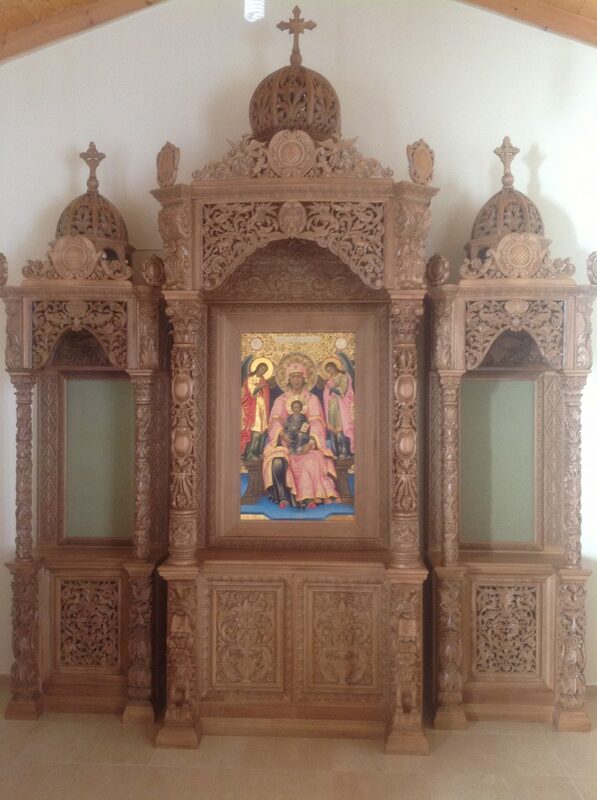 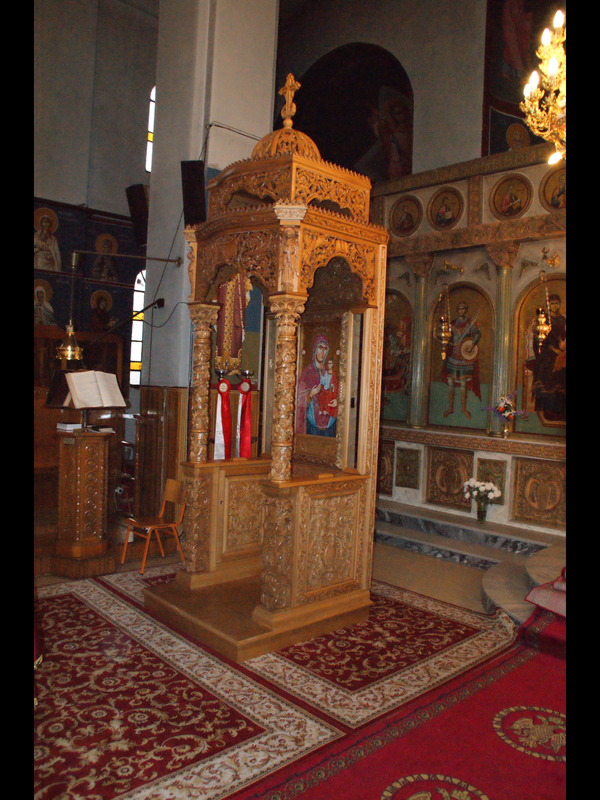 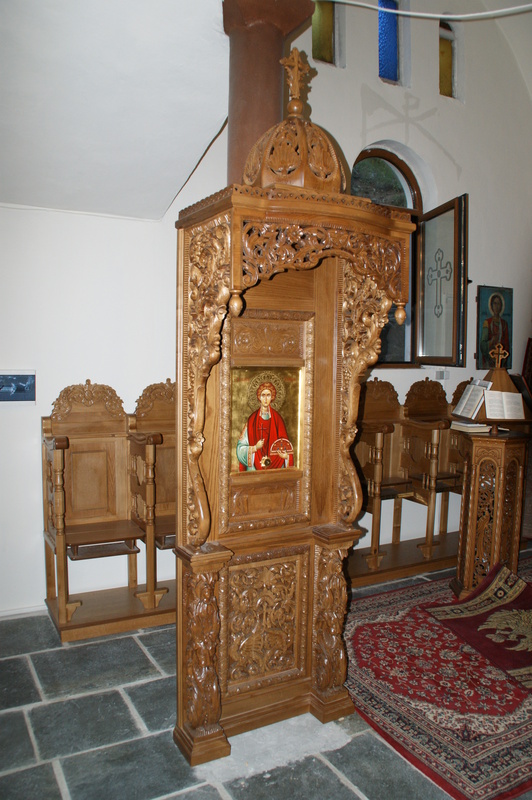 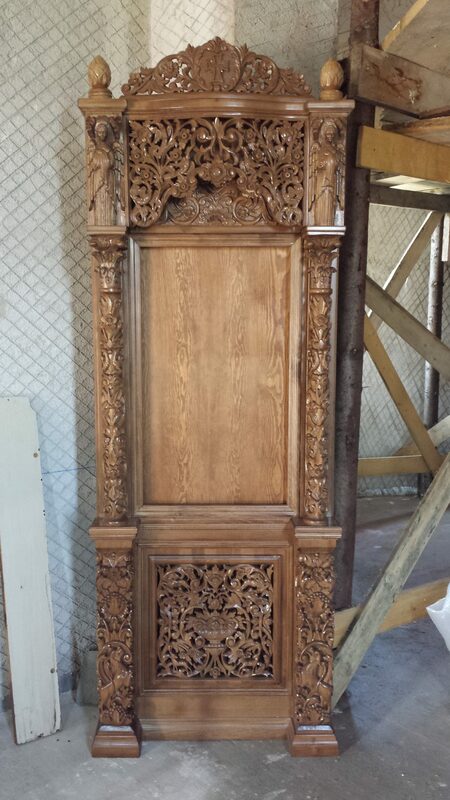 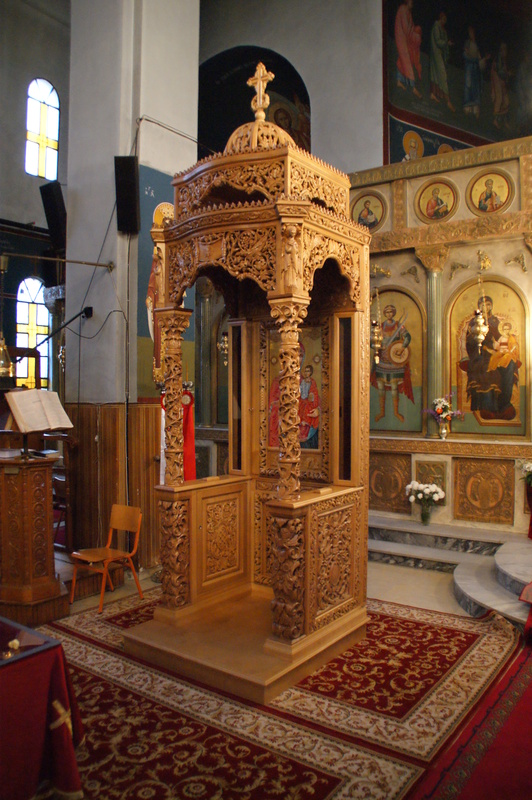 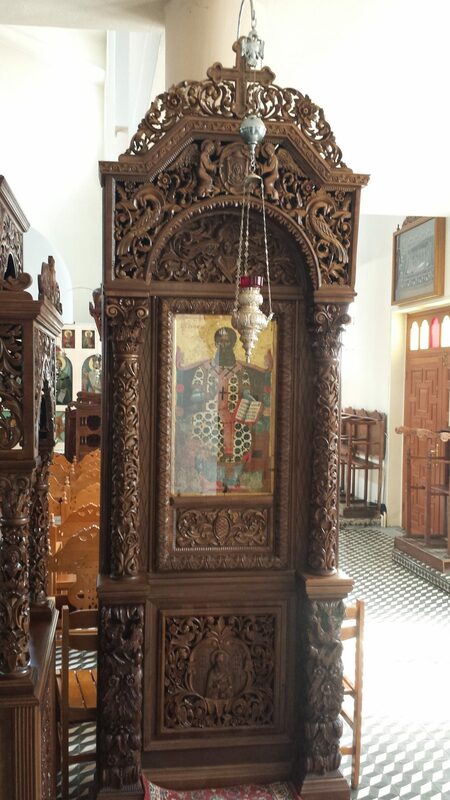 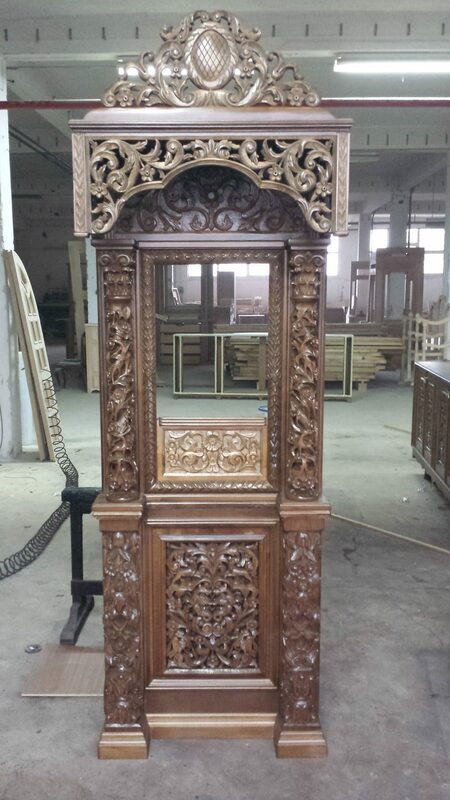 The icon cases have a classic wood carved structure. 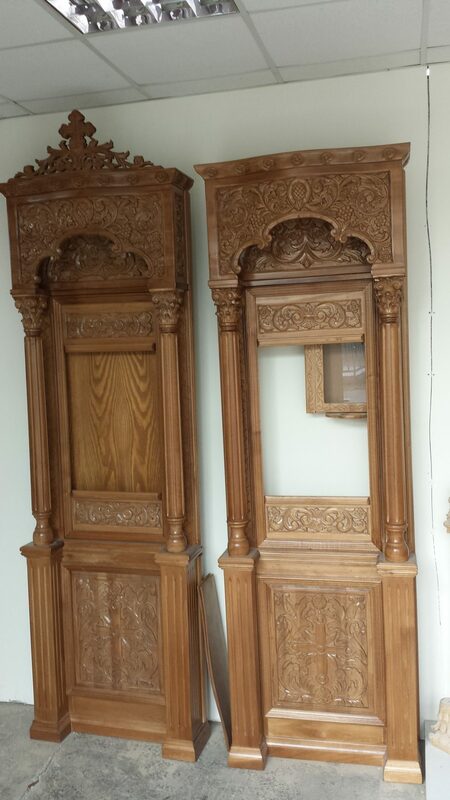 At the bottom, there are columns made in such a way to give the sense of a hug. 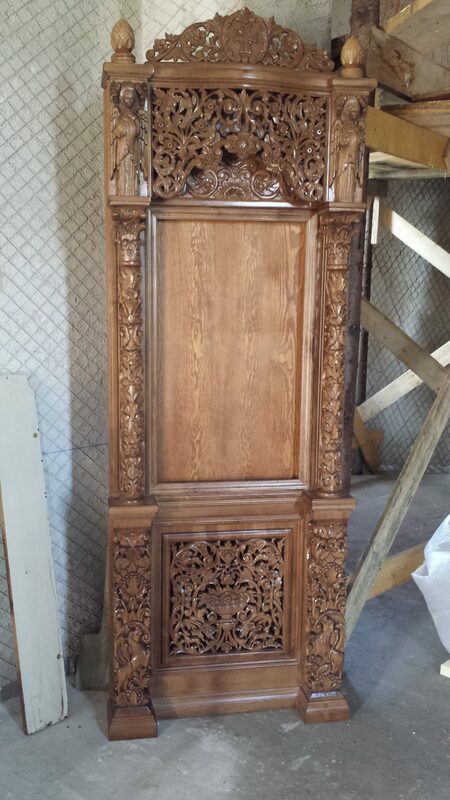 The central panel is decorated with vegetal and animal forms with the possibility to add any representation. 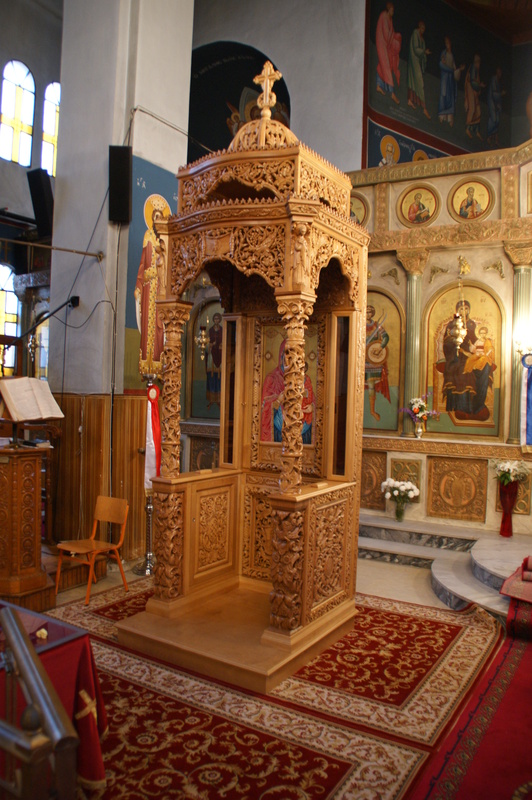 The ceiling is made of perforated carving and at the top, above the dome, the Cross is displayed prominently.